In recent years artificial snow or ice allow for more flexibility for not only location, but also when they can be played. The term ‘Snowsports’ refer to the various kinds of snowsports. Common individual snowsports include skiing, snowboarding, speed skating, figure skating, skeleton and luge, and team sports include ice hockey, bobsleigh and curling. Whether you are advanced or a complete beginner, there are a network of indoor and outdoor snow centres that are open all year round. The majority of clubs also offer low-cost courses and equipment hire for beginners or people that want to improve their technique. Snowsports are a great work our for your legs and core muscles, they are also perfect for anyone who wants to push themselves to the limit. Snowsports are inclusive and accessible to everyone. Across the country, the majority of indoor and outdoor facilities cater for people with disabilities. Centres also offer adaptive equipment and highly trained coaches to help out. Disability Snowsports UK offers lots of information about how you can get started and find a session near you. 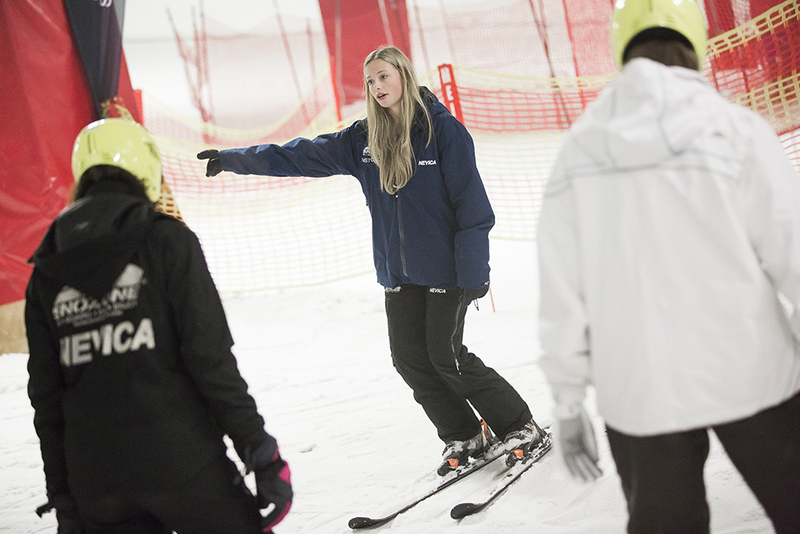 Wesport work alongside Snowsport England to develop the sport across the West of England. Use their club finder for more information on how you can get started and find your local club.